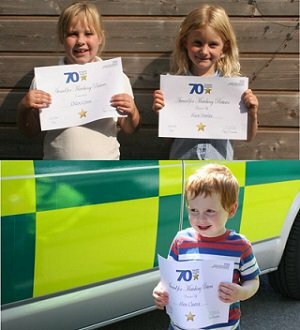 To celebrate the 70th birthday of the NHS on 5 July 2018, we ran an Art and Creative Writing competition for children across Bristol, North Somerset and South Gloucestershire. The winners have been announced and you can take a look at their amazing work below. Our special thanks to local businesses who donated prizes for the competition, including a family ticket for a visit to the SS Great Britain, a train ride around Bristol Harbourside, a family pass to Noah’s Ark Zoo and cinema tickets. This is a category for younger children which involves matching the correct job title to the correct picture of an NHS worker. 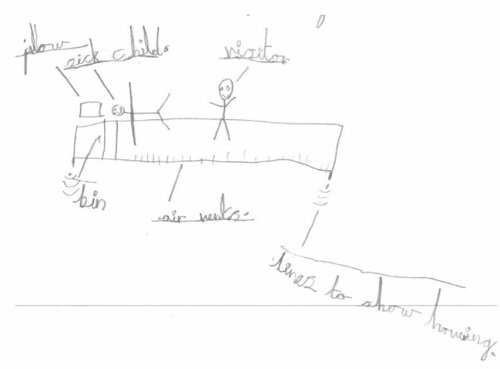 This category involves thinking about a future health machine invention and drawing a picture of it with a short description about what it does. You can view the winning entries for this category below and you can see a wider collection of some of our favourite entries on our Facebook page. 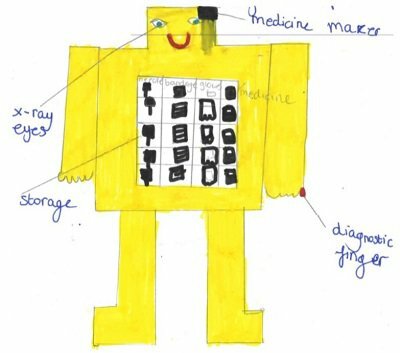 My invention is a robot which can perform all operations, talk, walk and give medicines by itself. It does not need to be charged or have batteries as it sleeps like a human. The robot is average size of a human and eats human food. 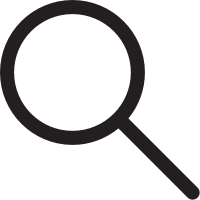 It as x-ray eyes and can diagnose people with cancer and other illnesses by touching someone with their finger. The robot makes life-saving medicines immediately inside its head and can give it to people to help make them live. 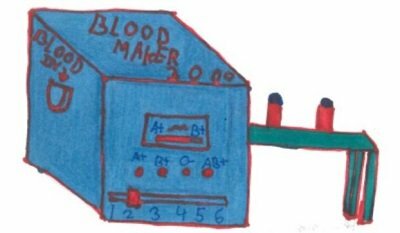 The 'Blood Maker 3000' (BM3000) takes in common blood types and transforms them into rare blood types. Just put some blood in at one end, choose what blood type it will turn into and how many 500ml bottles it should go in. The BM3000 will then do the rest. If people start to use these there will be less need to donate blood! My new invention works like an automatic car. 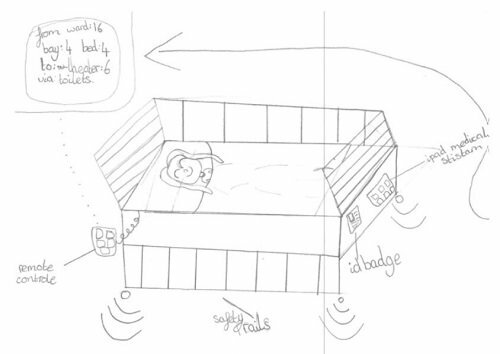 The patient uses the remote control to direct the bed to where it needs to go. First it will raise the safety bar, then an air pillow inflates to make the bed hover. They (the patient) will then type in where they are, and where they want to go. You would want this hover bed because the patients can go where ever they want without being disturbed so much. They won't feel the bumps! I've designed a hover bed to move poorly or hurt patients around the hospital quickly and smoothly. It works by remote control, so no one has to push the bed. This category involves writing a short story about an imaginary day working as a health professional.